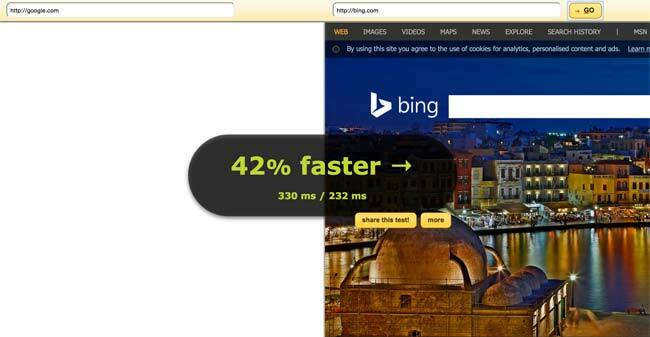 Do you know how fast your website is? It’s a question that bugged me for a long time. In my last post, I explained how a slow website can really harm your visitor numbers and sales. I showed you how Amazon would lose an astonishing $1.6 billion if they slowed down! The thing is, there are lots of website speed checkers online. But most of them just tell you one thing: how long it takes to load the entire website, from start to finish. Which doesn’t really give you enough insight into what’s going on. There are a lot of layers that factor into your overall website speed. You need to zoom in on each of them, and see what’s going on. Before we get stuck into the tools you can use to check speed, we need to understand a bit more about it. Your server speed is your engine. It’s the foundations of your website. 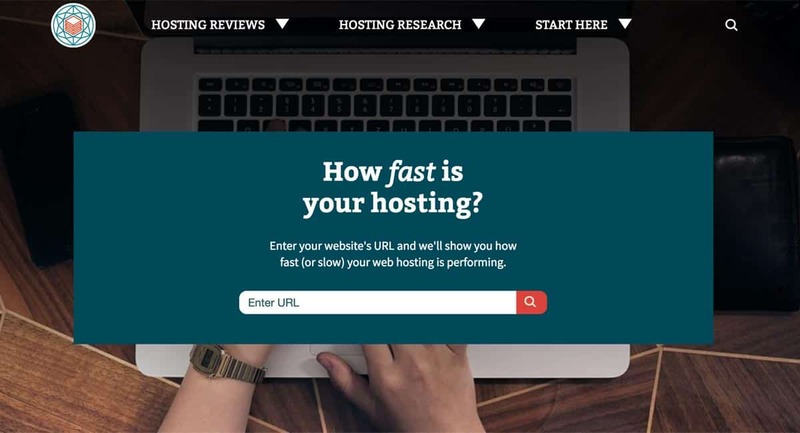 It is determined by the performance and location of your web host. As you’d expect, you want your engine to be as fast as possible. Think of it like a Formula 1 car. You can tweak the bodywork as much as you like on an F1 car. But, without the core speed of the engine, you’re going to lose the race! It’s the same with your website. Your core server speed is the first thing on the list. The second part of website speed is everything else. It’s all the data that your website has to load up and show visitors. As you can imagine, if your site is filled with enormous images, complicated code, and intricate design, it takes a lot longer to load it all up. Because there are so many factors that affect website loading speed, it’s best to use a variety of different tools to measure the speed. Your average website speed checker, for example, might tell you that your site loads in three seconds. But, that doesn’t help pinpoint the problems. So, let’s start by checking the speed of the engine. Your server speed. The first tool is all about checking the speed of your engine. It’s about making sure those foundations are as strong as possible. Our Bitcatcha server speed checker measures only your server response time. We’ll show you a clear indication of how fast your engine is running. We do this by pinging your server from eight different locations around the world, and measuring the response time. Then, we’ll show you an average breakdown. So, what’s a good result? A fast and responsive server will return a B+ score on the Bitcatcha server speed chart. Anything lower, and there’s definitely room for improvement. Google have said they’re looking for a server response time of 200ms, so aim for that! When you’re looking for supersonic speed, always start with the engine. Start with the server speed. For years, Google has made it very clear that speed matters. Not only does increased website load speed improve user experience, it helps maintain your ranking on Google. Luckily, Google doesn’t leave you in the dark about your particular site speed. They created a brilliant little tool called Page Insights. 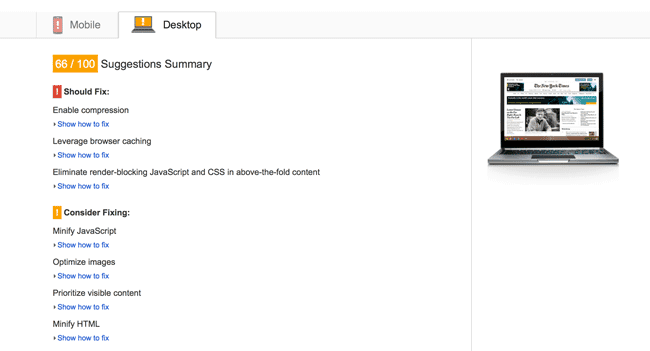 It measures your overall website speed, but breaks it down into bitesize parts. All you need to do is put your website address into the title bar, and let the machinery get to work. Google then gives you a score out of 100 for overall desktop and mobile speed. They’ll also give you a complete breakdown of all the things slowing your site down, with a prioritised list. Here’s what comes back when you put the New York Times website into Page Insights. As you can see, The New York Times could speed up its website by enabling compression and using browser caching more effectively. There are also plenty of small code alterations to be made. Have you ever wondered whether your website is faster than your competitors? WhichLoadsFaster.com is a great tool that pits two websites against each other. It’s a fantastic way to measure your speed against a rival! Let’s take a look at some of the internet’s biggest competitors, and see who wins. 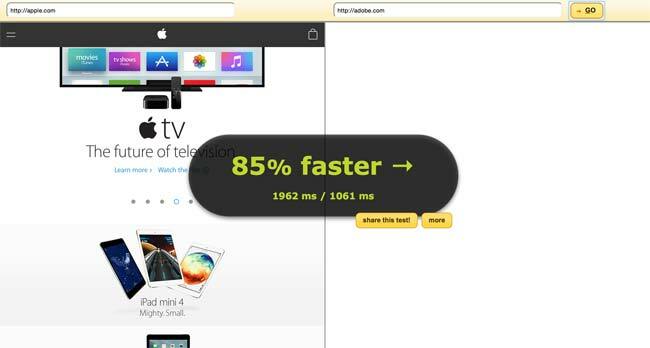 Whichloadsfaster.com uses your own browser to test the speeds, so the results do have a margin of error. Every browser location and speed is different. It’s best not to take this one too seriously. 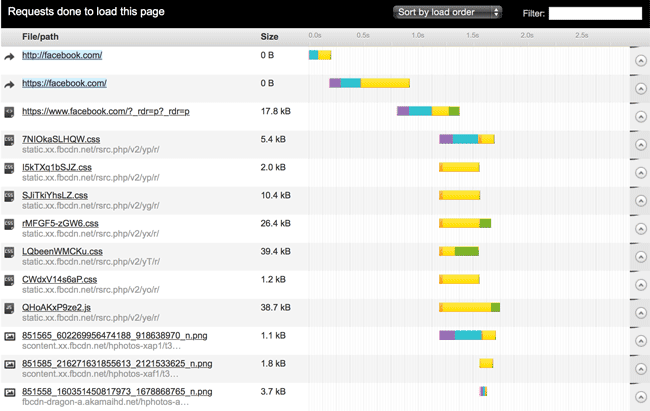 But, it’s a fun indication of how fast your site is compared to others. Everything I’ve shown you so far measures your website response at its current level. But what if you suddenly received a flood of visitors? What if 100,000 people descended on your site at once? If you run a large advertising campaign or launch a product, this could happen. And you need to be prepared for it! When lots of people come to your website at once, it inevitably slows down. Load Impact simulates thousands of people accessing your site, and then tests its response. How fast would your site respond under the weight of a traffic flood? The software mimics real traffic by sending pings from 10 different locations, different mobile networks, and browsers. If you’re starting to see bigger spikes of traffic coming to your site, it’s time to use Load Impact to see if your current setup can handle it. It pinpoints your problems by highlighting the website elements that take longest to load. The savviest website owners use a combination of these tools together. Because website speed has many different layers and factors. Each must be measured separately. Try them all out, and measure the speed of your website from every angle, from top to bottom. As always, I’m here to help, and I’d love to hear your thoughts on website speed!